NEW ALBANY, Ind. – Residents of Spencer County, Kentucky are now eligible to receive in-state tuition at Indiana University Southeast. Spencer is the seventh Kentucky county to be added to the reciprocity agreement at IU Southeast. 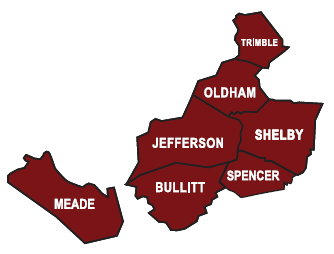 The newest agreement, signed in late December, added Spencer to the current list of eligible Kentucky counties which includes Jefferson, Bullitt, Oldham, Trimble, Meade and Shelby. Residents of these seven counties can attend IU Southeast at the in-state tuition rate. The in-state cost of attendance for undergraduates enrolled in 12 to 18 credit hours at IU Southeast is $3,536.16 per semester for the 2016–17 academic year. In 2015, over 1,700 Kentucky students took advantage of the reciprocity agreement to attend IU Southeast. Kentucky students were also well reflected in the Class of 2015, with 33 percent of its members coming from reciprocity counties benefiting from the in-state tuition agreement.